NicheBuilder is a web hosting company that provides services for affiliate marketers like keyword research, content generation, website building and design, SEO and analytics. They assist several online businesses across various industries out of their Sarasota office. I conducted keyword research, identified profitable niches, developed marketing plans, and crafted SEO copy for landing pages, eBooks and emails promoting clients’ digital businesses. Below are a couple examples of projects I worked on for NicheBuilder clients. I wrote a series of long-form landing pages for a company offering a no credit check “Alternative to Finance” program for small businesses called Global Check Service. You can read the landing page copy I crafted targeting musical instrument retailers to get a sense of my marketing content writing chops. I wrote a series of auto-responders for an email marketing campaign selling probiotic products through WaterKefirGrains.com, and created an eBook for the site to encourage subscription opt-ins. 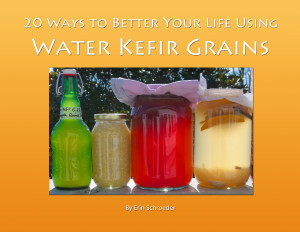 Check out the Water Kefir Grain Auto-responders to scope my email marketing skills, or click the cover on the right for the eBook PDF.